I’ve just realised that my weekly round-up posts tend to focus on either books or food. This week it’s certainly the latter! 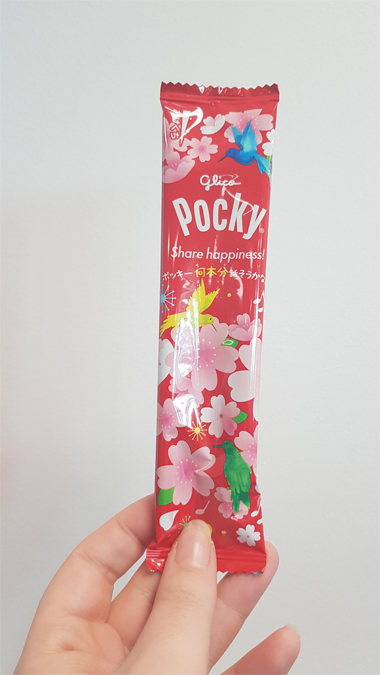 One of the girls in the office just got back from Japan, complete with suitably kawaii treats. I had to photograph this one before I tore into it. Yep, we had a date afternoon! I love a cheeky trip to the cinema on a Thursday afternoon. Captain Marvel did not disappoint. It wasn’t the best MCU film but there are certainly worse (I think Thor: Ragnarok is my favourite). It didn’t over-do it on the girl power but was suitably inspiring and empowering. That ‘I’m only human’ scene was awesome. Did anyone else tear up at the Stan Lee opening? I’m still ridiculously excited for Shazam! And we’re certainly going to be making an event of the release of Avengers: Endgame. I’m thinking a movie meal deal double date with the bestie. I’m loving having Fridays to myself again. I’ve watched 90% of the 15 seasons of Grey’s Anatomy via the Now TV app on my phone but I’ve recently started treating myself to some quiet time on a Friday morning. When Luke drops Jenson off at pre-school I pop it on downstairs on The Big TV and enjoy a quiet coffee to myself. It’s one of my highlights of the week. I’m so here for Meredith and DeLuca, even though I totally didn’t approve of the way she stood up Link. I try to find fun (low-budget) things to do with Jenson at the weekend and we had to admit defeat with the weather last Saturday. 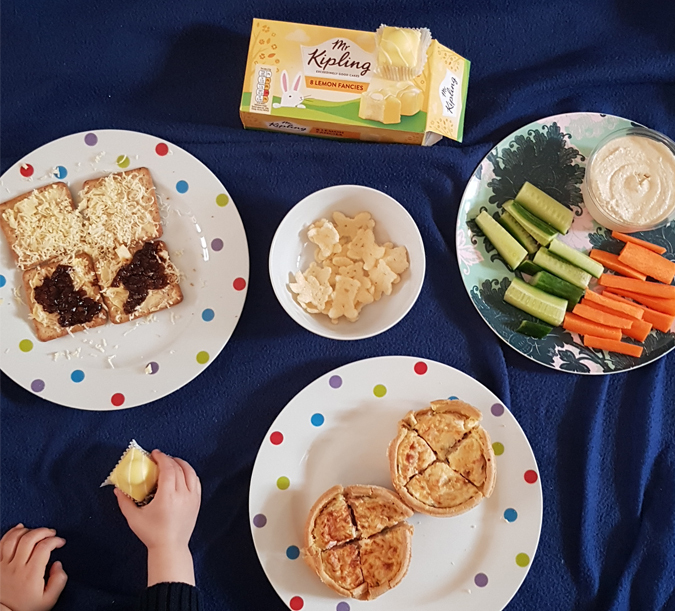 Fortunately he was super excited to make do with an indoor picnic – I even convinced him to try pickle with his cheese and crackers, plus some quiche, cucumber and hummus! I’m determined to get him to eat better by the time he starts school in September because I’d love him to eat the hot meals they provide. We met my dad for a carvery on Sunday and Jenson even ate his broccoli! I think we might be on a bit of a roll here! 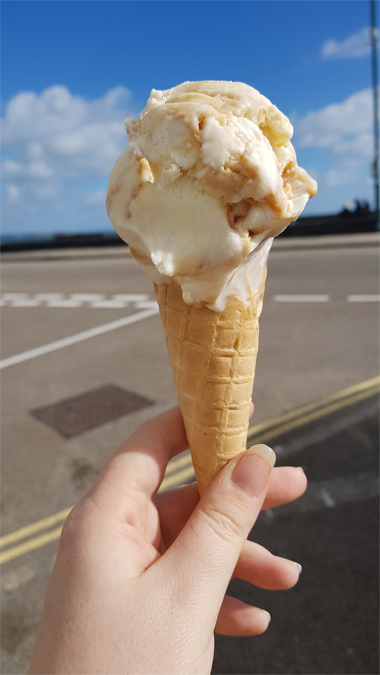 Even though it was a bit windy, the sun was out so we popped to the park and grabbed an ice cream on the way back. I highly recommend the Shipwreck ice cream by Moomaid. So a bit of a chilled one last week. I’m seriously lacking on the self-care front and haven’t had a bath and podcast night since before Christmas. I’ve also yet to crack open my Calligraphy Journal. Maybe this week?